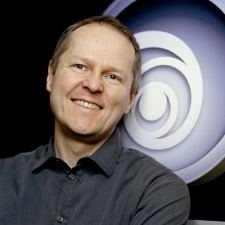 The CEO of Ubisoft Yves Guillemot has said that managing to stop hostile takeovers, first from EA in 2004 and more recently French media conglomerate Vivendi, is "invigorating". Speaking to IGN Unfiltered's Ryan McCaffrey in a wide-ranging interview (below), the exec said that it was hard work for not only him, but the entire team at Ubisoft. Until March 2018, Vivendi was buying up shares in Ubisoft and looked set to take the games publisher over. That being said, Vivendi appeared to not really know what to do with the stock it had in the French publisher. Guillemot and co fought hard to fend Vivendi off and ultimately, with the help of a number of companies including China's Tencent, managed to buy Vivendi out. The firm sold the last of its Ubisoft shares in March 2019. "It's really invigorating, not only for the CEO but for the entire team that worked hard to make it happen," Guillemot said. "This time with Vivendi, like with EA, all the team were working hard to make sure it didn't happen." He continued, discussing what it's like facing a hostile takeover: "You always freak out. It's a fight. You start a fight with the ultimate goal of continuing business as you did before. My role is to defend the freedom of the teams working at the company so that they can create the games we come up with. The only way to do that is to be able to take risks, to fail from time to time and that is not easy to do in huge companies. When you are attacked by a company with a different philosophy, you know it can affect what you have been creating from scratch so you fight with a lot of energy to make sure it can't be destroyed." Ubisoft isn't the only games company that Vivendi has been involved in. The French media giant used to own Activision Blizzard, until the firm bought itself out from Vivendi in 2013 for a huge $5.83bn. Incidentally, the Call of Duty giant was also helped by none other than China's Tencent to achieve its independence. Sound familiar?